The Annual VES Awards are decided on by members of the Visual Effects Society in a number of countries, to award excellence in the field of visual effects in film, television and the interactive arts. Animation plays a major part in this- as the VFX used even in "live-action" films are, after all, essentially animated. 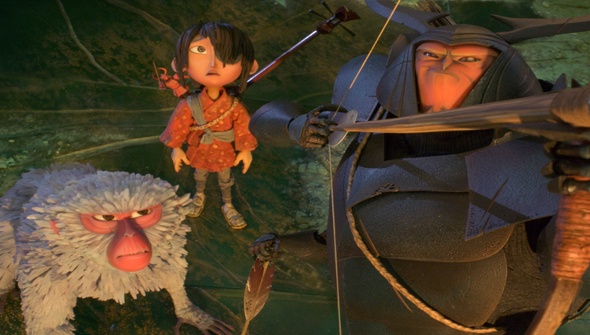 There are several awards saved for fully-animated features, however, and this year Kubo And The Two Strings is out in front. LAIKA's stop-motion film has picked up six nominations in total, followed by Moana and Finding Dory which both scored a total of four nominations. In the "photo-real" categories Rogue One leads the film pack with seven nominations, while Marvel's Doctor Strange and the reimagining of The Jungle Book received six each. The biggest winner overall, however, is the TV series Game Of Thrones which has the most number of nominations overall- a massive eleven. The ceremony will take place on February 7th in Los Angeles. The Full list of nominations follows.